Gun control activist David Hogg slipped up by saying that Canadians could donate to political campaigns in the United States. Hogg, a survivor of the Parkland shooting at Marjory Stoneman Douglas High School and one of the leaders of the March for Our Lives campaign, was one of the guests filmmaker Michael Moore had invited to speak on Saturday as part of a showing of his new film, Fahrenheit 11/9, at the Toronto International Film Festival last weekend. The video, which was posted to Twitter Sunday by security analyst Jim Hanson, started with Hogg telling the crowd that he believed Canadians could donate to political campaigns in the U.S.
“I think Canadians can donate to political campaigns in the United States,” he said as he turned to Moore. The filmmaker shook his head no, which then led Hogg to encourage Canadian voters to keep voting in their own country. Moore gestured to get the microphone back from Hogg and then continued the discussion. The filmmaker’s latest movie is about how he predicted the presidential win of Donald Trump. Moore traveled across the U.S. to see the impact the Trump presidency has had socially, economically and politically. The Academy Award–winning filmmaker thanked Hogg, Parkland survivors Ryan and Matt Deitsch, and his other invited guests who were onstage with him for the screening of his film. “Overjoyed & grateful by the overwhelming response to "FAHRENHEIT 11/9" last nite at #TIFF18! Thankful to share stage w/ @Apriltcook & Pastor Hawkins of Flint and @davidhogg111, @Ryan_Deitsch & @MattxRed of Parkland, FL. Rage, laughter, tears & amazing standing ovation! Thank u!” Moore wrote on Twitter on Saturday. Hogg and other Parkland students have been vocal about how they feel about the president and the inaction on gun control since the shooting in Parkland, Florida, which killed 17 people and injured 17 others. Hogg mentioned the idea of protesting against Trump and the National Rifle Association by holding a “die-in” at Trump Tower in New York, the headquarters of the Trump Organization. “So when are we doing a die-in at Trump Hotel?” Hogg tweeted in May. 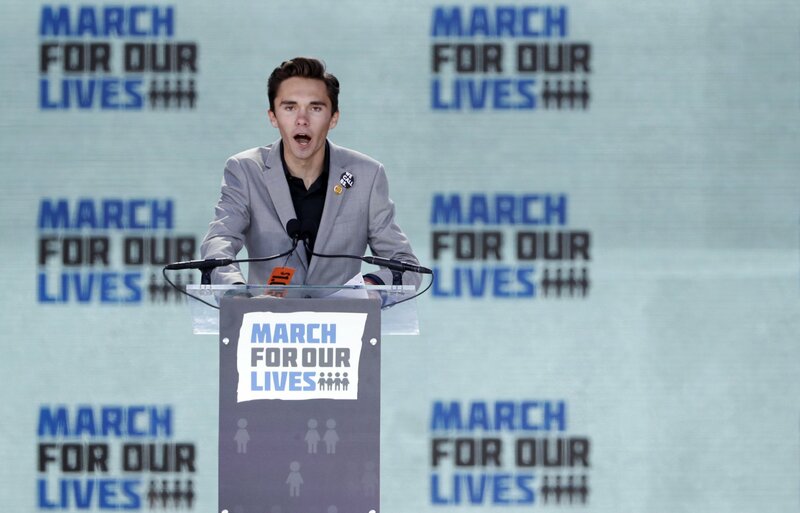 Hogg’s tweet came in response to a protest held at the statewide Publix supermarket chain after it was discovered that Publix had donated money to a Republican gubernatorial candidate who supported the NRA. In a “die-in" protesters lie down as if dead.